Pilates. Mixed abilities with Ally Crane. Please call 07796 295549 to book in. All round Hatha Flow Yoga to strengthen, stretch and relax the body and mind. All levels katja.laitila@btinternet.com or call 07710 020724 to book in. Ally discovered her passion for Pilates over 12 years ago during pregnancy. Formerly an international air hostess she promptly swapped her suitcase for a pair of leggings and a mat .. and leapt off to Body Control in London for teacher training. Coming from a dance background Ally trained at Body Control London and with various other international Pilates masters. She is a fully qualified level 3/4 matwork teacher and experienced and qualified in pre and post natal and rehabilitation. She teaches classical matwork classes, dynamic pilates, equipment and Barre. Katja’s view is that there is a style of yoga for everyone. It is a case of finding it and allowing both your mind and body to benefit from everything yoga has to offer. 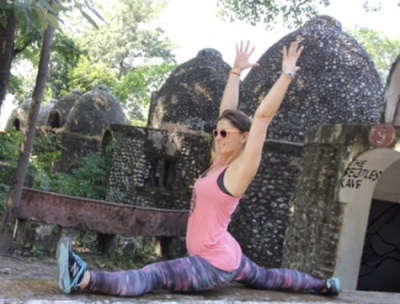 Embarking on a yoga journey, can aid not only in gaining a better physical and overall health and wellbeing, but it can also aid in a self-discovery and increase one’s happiness. Yoga in a safe and encouraging environment can be a truly eye-opening and rewarding experience regardless of age, gender, body shape or fitness level. This is what Katja would like everyone to be able to experience while mindfully exploring the different yoga postures. 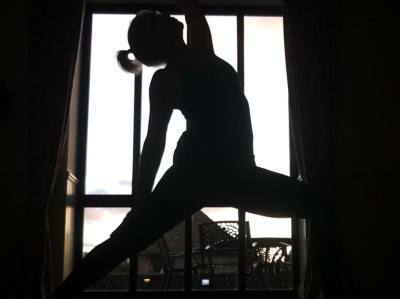 Justyna completed her teacher training with the Power Yoga Company in London in 2014 and has been teaching since then. 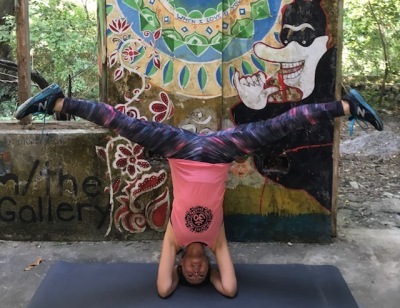 Although a teacher of various styles of yoga, Justyna’s passion is for a dynamic form of yoga, where you will link your movement with breath, creating a wonderful meditative flowing practice that will leave you feeling energized. The practice will help you get stronger and flexible and the same time make your mind calmer and focused. Justyna’s classes will ensure you are challenged but most importantly, that you will have FUN! Learn how to love the body you have, challenge your limits and breathe through it, regardless of your flexibility, fitness and age!